Firstly, this all started with the political and religious problems, because they all have different ways of thinking and different believes. In the country that they came from, their connection with their gods is really strong. In the political side they all want to be listened, but the message is misunderstood, so they demonstrate and fight. One of the reasons that provokes this situation is the division of the territories in the past. Also the freedom was and still is a big issue, but in different ways. For example, in the country that the refugees came from, they restricted the freedom of speech, so this tends to origin protests. But in other countries, when they don't restrict this, their behavior should be better and controlled. Secondly, all this situation has been a problem originated by many countries. Some of them are trying to help, but it's difficult because of some contingencies, such as prejudice. For example, some people judge the refugees because of the image passed by the media, but they are exactly like us after all. 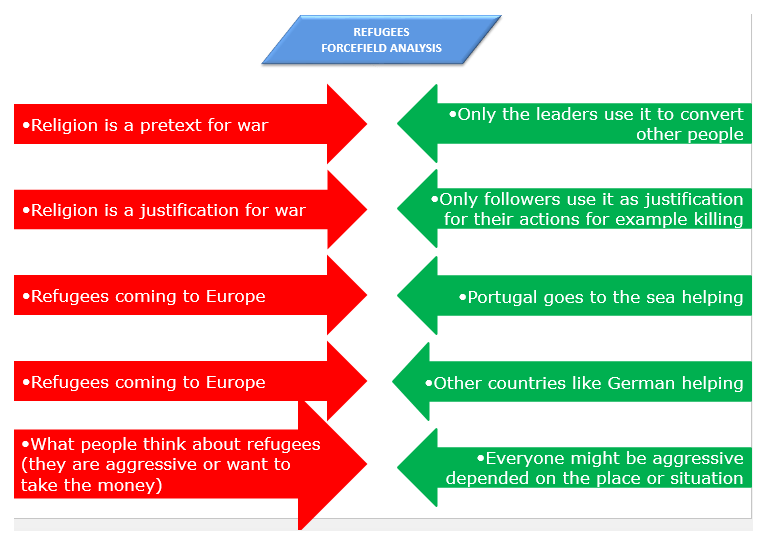 The number of refugees also worries the people, because it gets confusing to control the situation. However, they can help us and help each other, because in the end, they will try to look for jobs and have a normal and better life. To sum it up, we all give the best we can. 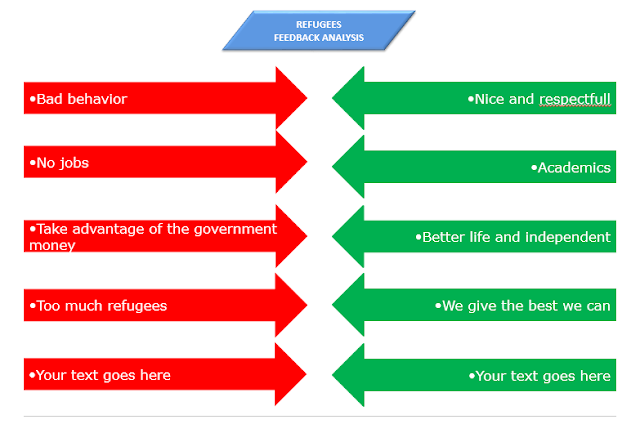 As the number of refugees increases, the number of people who help and are interested about this issue also rises. And hopefully, all this situation can bring about change to the world and to the way the we think and act. In a country, you should have two sides working together: the population (social) and the government (politics). However, they can have divergent ideas, such as the example of the different kinds of politics that people support. In addiction, we can have a look to the more specific situation of what different ideas can provoke conflits. 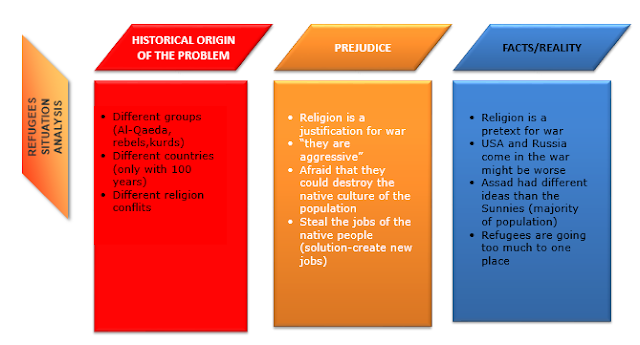 Usually the origin of the problems might be historical, like the example of Arabic countries, that were only formed about 100 years ago and never concluded an agreement between them, and this lead to civil wars. Religion can also be a bad factor too, that can lead to the formation of different terrorist groups like Al-Qaeda, Syrian rebels, the jihadists. On one hand, religion is used by the leaders as a pretext for war, converting other people and convencing them that their ideas are the right ones. On the other hand, religion is used by followers as a justification for war, for example to explain all the killings. In Syria, Assad, one politician, had Chies ideas, however the majority of the country, 80%, had Sunnies’ ideas. That provoked a civil war between him, supported by his followers, against almost all the rest of the population, including terrorist groups, such as the jihadists. Hundreds of people died, and since the war hasn’t ended, many of them started to run away to other countries like Germany. And this constitute the groups of refugees. 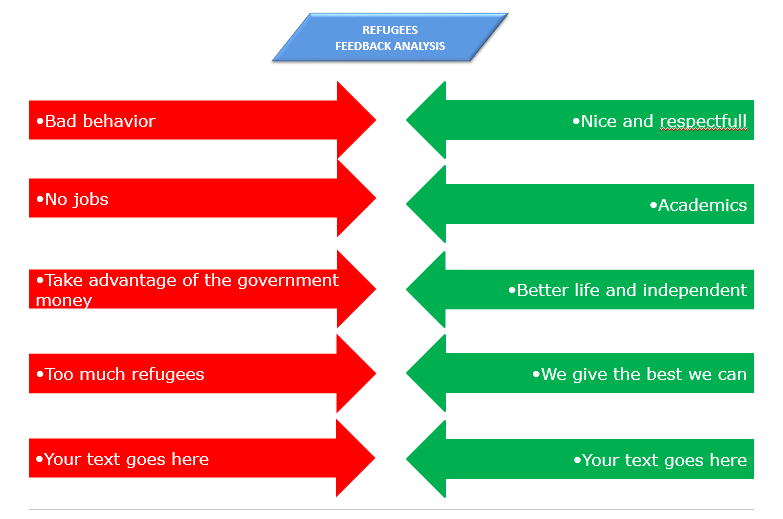 People think that all the refugees are aggressive or want to take our money, but if we seriously think about it, everyone could be like that, depending on the place or situation. The European population is afraid that they could destroy the native culture of the population, as they´re principles are very different, and could also take the jobs of the native people. The solution could be to create new jobs; the trouble is that there´s not enough time to do it, as the refugees are moving on really quickly. On the other hand, we have to take into account some facts about this situation. One is that, if the other countries, besides the Arabic ones, like USA and Russia, come into the war, this might get worse, because they will create new wars between them. In our view, the only thing they should do is simply help to solve the conflits, not coming physically in the war. That way, they could turn this into a positive and helpful effort for everyone involved.